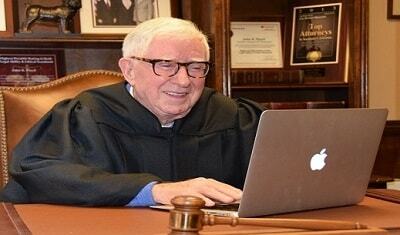 David W. O'Brien, Esq., a member of the California and New Hampshire bars, received his Bachelor of Education from Plymouth State University in 1950 and the degree of Doctor of Law from the University of San Francisco in 1960. He is admitted to the U.S. District Courts, Districts of New Hampshire and California. He is also a member of the American Bar Association. During the Korean War, Judge O'Brien served as a special agent in the Counter Intelligence Corps. Judge O'Brien has served as a Workers' Compensation Judge with the California Workers' Compensation Appeals Board, as an Administrative Law Judge with the California Unemployment Insurance Appeals Board, as a Deputy Commissioner of Corporations for the State of California, and as a Senior Counsel for the State Compensation Insurance Fund. He has also devoted many years to the private practice of law as both a defense and plaintiff attorney, serves as an expert witness in civil cases throughout this country and was for many years, a Certified Administrator for Self-Insurance Plans. 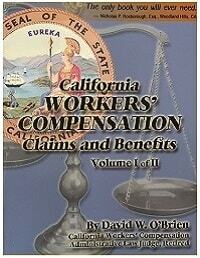 Judge O'Brien is also the author of California Workers' Compensation Claims and Benefits, 12th Edition, as well as a pamphlet entitled "California Workers' Compensation Insurance, Employee Rights and Responsibilities" approved by the Administrative Director for use in educating employees as to their rights and responsibilities in the event of an industrial injury. Bernadette M. O’Brien, Esq. is a partner and managing attorney of Floyd Skeren Manukian Langevin, LLP’s employment law department. She provides advice and counsel to employers in employment related matters such as claims for discrimination, harassment and/or retaliation, wrongful termination, wage and hour disputes, leave of absence policies and procedures, privacy issues, and employee handbook development and implementation. In order to help employers understand and comply with the law, Ms. O’Brien conducts employment law related seminars and training sessions throughout California. She earned her Bachelor of Arts degree from the University of California, Davis before attending law school at Lincoln Law School of Sacramento, where she obtained her Juris Doctor degree, graduating as class valedictorian. Prior to Ms. O’Brien’s association with Floyd Skeren Manukian Langevin, LLP, she practiced civil litigation representing both plaintiffs and defendants in numerous areas of law including personal injury and business related matters. Ms. O’Brien is the author of the LexisNexis publication Labor and Employment in California: A Guide to Employment Laws, Regulations and Practices, which has been in publication since 1992. 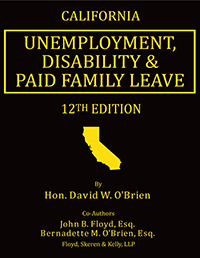 The treatise is an easy-to-understand overview of the key topics in labor and employment law as governed by both federal and California law, including hiring, termination, wage and hour, the Family and Medical Leave Act, employee privacy, drug testing, sexual harassment, discrimination, retaliation, wrongful termination, and the Americans with Disabilities Act. She is also editor of Floyd Skeren Manukian Langevin, LLP’s employment related website (floydskerenemploymentlaw.com), which provides daily employment law updates and the latest news related to employment law. John B. Floyd, Esq. established the Law Offices of Floyd Skeren Manukian Langevin, LLP in 1987. Since then, the firm has experienced significant and steady growth. Today, the Law Offices of Floyd Skeren Manukian Langevin has 12 offices throughout California. Mr. Floyd is a Certified Specialist and has devoted many years in the workers’ compensation field representing insurance companies, self-insureds, municipalities and employers in §132(a) claims and serious and willful actions. He has served as an Arbitrator, Mediator, and Judge Pro Tem, as well as being an expert witness in bad faith claims and is a Certified Administrator for Self-Insurers. Mr. Floyd is involved in numerous committees, including California Chamber of Commerce Amicus Committee and the Employers’ Fraud Task Force. Additionally, Mr. Floyd is nationally recognized, AV Rated by Martindale-Hubbell and has been ranked as a Super Lawyer since 2009. He is also a member of the California Association of Joint Powers Authorities (CAJPA).